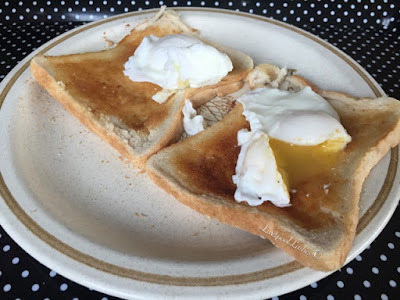 So my last post was telling you that I was on the plane coming home from Corfu and how I was anxious to find out what I weighed as I had no doubt I had put in, so that I could deal with it. I did originally say I wasn't going to get on the scales when I got home because people had told me that the flight can bloat you and it would be late in the day so I didn't want to be distraught at a false reading. This went out the window as I stepped on telling myself that it would tell me at least the maximum I had put on and then I could weigh again in the morning for a proper reading. I'm not really obsessed with the scales, I just pop on to check if I feel the need to and I just wanted to see where I was up to. I can't actually remember what they initially said, I think it was 6lbs on but then the following morning it was 3.5lbs so I set about working that off. Unfortunately for me, I've had a hungry week, no let's scrap that, I've had a greedy week. I don't know if that's due to the fact I was eating a little more on holiday and not as healthy or due to lady probs but either way it's not been doing me any good. I knew that it was highly likely if I got back on track I could have the 3.5lbs off in week but I think it's because I would be going back to the same weight I've been for the best part of a month I was starting to almost self sabotage it. I've been here before, many times but this time I just need to keep my focus. It does concern me but little things remind me of why I'm doing this. 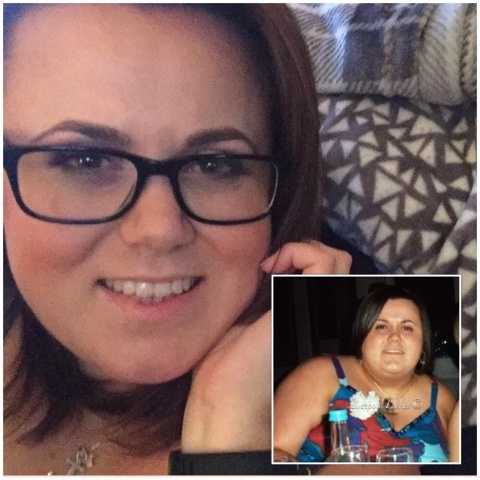 For example I never used to look at myself side on whilst I was out, my mind would naturally avoid looking that way however when I was struggling on Wednesday I happened to go to Tesco and as I walked up the escalator (I don't just stand there anymore!) I caught sight of my profile side on and it put things into perspective, that's why I'm doing it as I can see so much change. I'm still at over four stone, that's a huge achievement. 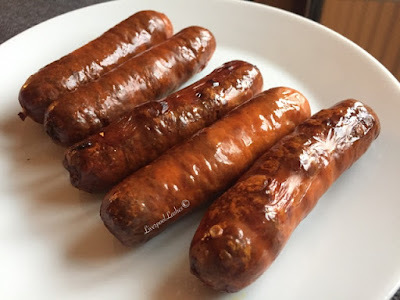 I've tried my best to feel as full as I can so I've been buying things like these chicken sausages by Heck as they're low calorie but filling. 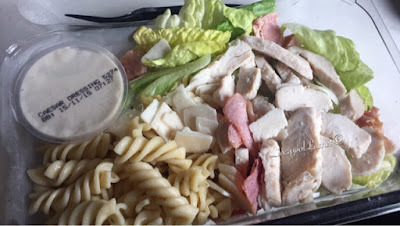 I also have my favourite fat girl salad (Chicken & Bacon Caesar from Tesco) This isn't the best food for me as the sauce is high in fat but I just feel like I need to eat what I enjoy to keep my on track so that's what I've had a couple of times this week. I still go to the gym every weekday morning although on Friday I would have happily stayed in bed but I forced myself to go and felt better for it. I think I will feel better when I finally start shifting real weight and not the weight I've put on from the Lake District and now Corfu as it's just meant I've virtually stayed the same for a month. Anyway, onto my weigh in. I had hoped that I would shift the 3.5lbs holiday weight and anything else would be a bonus. Would you believe that I actually lost exactly 3.5lbs and no more so I'm back to seeing that exact same number on be scales, ahhhh it's driving me mad! I have to lose some serious chub next week, I am still only 2lbs away from the next stone bracket and I just have to hit it, I'm determined. I also have just bought a new jacket today in a smaller size which doesn't close yet but it will do soon! Wish me luck and hopefully I'll keep on track and put the greedy Karen away for the week!